Wipaq offers P5500S Dual-Sided ID Card Printer which is reliable for printing high-security cards and employee ID cards with excellent print quality and speed. P5500S Dual-Sided Printer can be accessed using the standard ethernet and USB connectivity with the easy-to-navigate menu options. 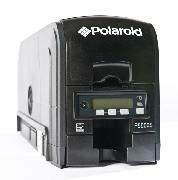 It also has the option for printing Magnetic and Smart Card.